Cycling is one of the most effective exercises to improve stamina, reduce the risk of coronary heart disease and strokes, increase metabolism and generally improve the quality of life for people of all ages. Cycling is also an excellent aerobic conditioner that helps to build strength, boost endurance, reduce stress and lose weight. 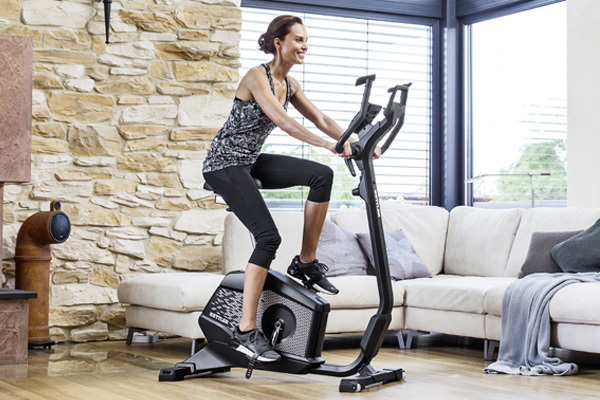 KETTLER stationary bikes offer all of these benefits without the user having to leaving the comfort and security of the indoors. Many cyclists as well as general sports enthusiasts use the low-body stress of indoor cycling to round out their fitness programs and give their whole body a complete circulatory and aerobic improvement. Using an exercise bike indoors enables those users to fit an exercise regimen into their schedules' day or night. 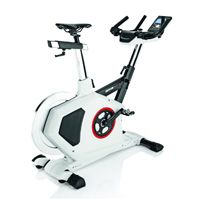 KETTLER offers a number of different types of exercise bicycles. 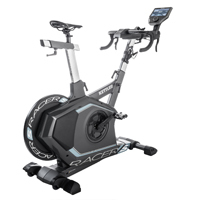 The recumbent exercise bike offers easier access and a more comfortable exercise position, while the ergonomic upright exercise bike is often the choice of those involved in serious athletic training. Whatever the user's preference, KETTLER is the choice for quality, durable equipment. 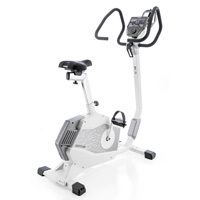 KETTLER offers a number of different types of exercise bicycles. 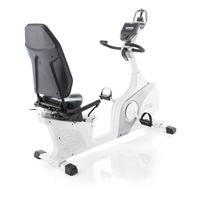 The recumbent exercise bike offers easier access and a more comfortable exercise position, while the ergonomic upright exercise bike is often the choice of those involved in serious athletic training. Whatever the user's preference, KETTLER is the choice for quality, durable equipment.